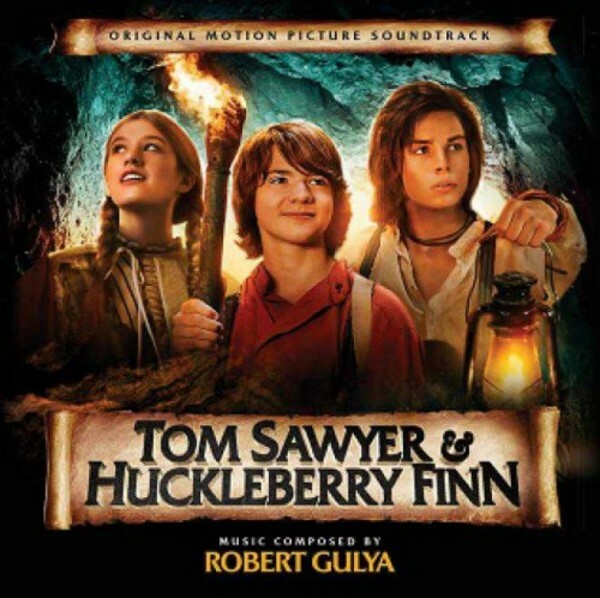 MovieScore Media revisits one of the classic tales of American literature with the new adaptation of Tom Sawyer & Huckleberry Finn, scored by London based Hungarian composer Robert Gulya. Directed by Jo Kastner, the story follows the classic Mark Twain story as our teenage heroes witness a murder and must keep the secret in order to stay alive. When an innocent man is sentenced to death, Tom comes clean about the murder, but a mysterious treasure and the escape of the real killer Injun Joe make things all the more complicated. Starring Jake T Austin, Joel Courtney and Val Kilmer as the old Mark Twain, the soundtrack release coincides with the film�s online premiere in 2015. The music by composer Robert Gulya is a smart, contemporary Western score with a focus on adventure and the bond between our heroes. As the composer explains: "Tom and Huck are a little bit older than in the novel, they are around 15 years old. This allowed us to have a score that has more bravado, kind of like Harry Potter or The Pirates of the Caribbean without the monsters of course. Jo really liked the theme I came up with for the 'Main Title' so you can hear it several times throughout the score." The music was recorded with the Budapest Symphony Orchestra. Robert Gulya is an award winning, UK based film composer who graduated from the prestigious USC music program in Los Angeles as a Fulbright scholar in 2001. Since then he has scored over 20 motion pictures, including the Lionsgate horror 'Gingerclown' (2013), the crime adventure 'In the Name of Sherlock Holmes' (2011) and the sci-fi 'Atom Nine Adventures' (2007), released by MovieScore Media. He is also a top composer in his native Hungary, scoring some of the most commercially successful comedies, most recently 'What Ever Happened to Timi' (2014). Robert is also the managing director of Boulevard Worldwide, a music production company specializing in TV commercials. His work on the Opera film 'Where the World Unfolds' won 'Best Music' at Cannes Corporate Media and TV Awards.